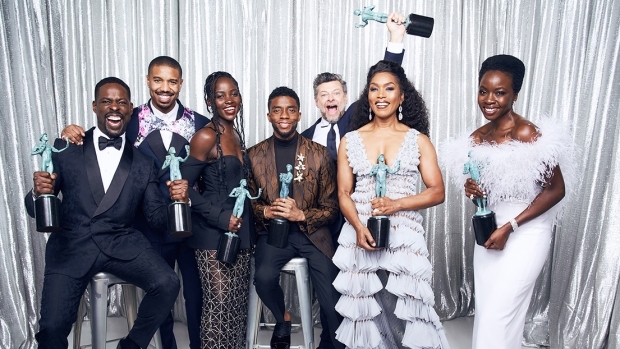 "Black Panther" took the top award at Sunday's 25th Screen Actors Guild Awards, giving Ryan Coogler's superhero sensation its most significant awards-season honor yet and potentially setting up Wakanda for a major role at next month's Academy Awards. The win puts "Black Panther" squarely in contention for best picture at the Academy Awards where it's nominated for seven honors including best picture. Actors make up the largest percentage of the academy, so their preferences can have an especially large impact on the Oscar race. In the last decade the SAG ensemble winner has gone on to win best picture at the Academy Awards half of the time. In the lead acting categories, Glenn Close and Rami Malek solidified themselves as front-runners with wins that followed their triumphs at the Golden Globes. The 71-year-old Close, a seven-time nominee but never an Oscar winner, won best actress for her performance in "The Wife." In her speech, she spoke about the power of film in a multiscreen world. "One of the most powerful things we have as human beings are two eyes looking into two eyes," said Close. "Film is the only art form that allows us the close-up." Malek, wining best actor over Christian Bale ("Vice") and Bradley Cooper ("A Star Is Born") for his performance in "Bohemian Rhapsody," seemingly sealed the Oscar many are predicting for him. Malek's awards are mounting even as the director of "Bohemian Rhapsody," Bryan Singer, is facing multiple accusations of sexual assault with minors . Singer has denied the claims. "I get some power from him that's about stepping up and living your best life, being exactly who you want to be and accomplishing everything you so desire," said Malek. More surprising was Emily Blunt's best supporting actress win for her performance in the horror thriller "A Quiet Place." Blunt, also nominated by the guild for her lead performance in "Mary Poppins Returns," was visibly shocked. She wasn't among Tuesday's Oscar nominees for either film. "Guys. That truly has blown my slicked hair back," said Blunt, who praised her husband and "A Quiet Place" director John Krasinski as a "stunning filmmaker." ''Thank you for giving me the part. You would have been in major trouble if you hadn't." Best supporting actor in a film went more as expected. Mahershala Ali, who won two years ago for "Moonlight," won for his performance in Peter Farrelly's interracial road trip "Green Book." The Amazon series "The Marvelous Mrs. Maisel" won the first three awards handed out Sunday, sweeping the comedy series awards. It won best ensemble in a comedy series, as well as individual honors for Rachel Brosnahan and Tony Shalhoub, whose win was a surprise in a category that included Bill Hader ("Barry") and Michael Douglas ("The Kominsky Method"). "We cannot thank you enough," said Shalhoub, speaking for the cast. "Stay with us." "I see more than ever now how proud I am to be a part of our brotherhood and sisterhood of actors," said Alda. "It may never have been more urgent to see the world through another person's eyes. When a culture is divided so sharply, actors can help — a least a little — just by doing what we do. And the nice part is it's fun to do it. So my wish for all of us is: Let's stay playful." For the second time, the cast of "This Is Us" won best ensemble in a drama series. Other TV winners included Sandra Oh ("Killing Eve"), Darren Criss for "Assassination of Gianni Versace", Jason Bateman ("Ozark") and Patricia Arquette ("Escape at Dannemora"). Arquette thanked Special Counsel investigator Robert Mueller "and everyone working to make sure we have sovereignty for the United States of America." 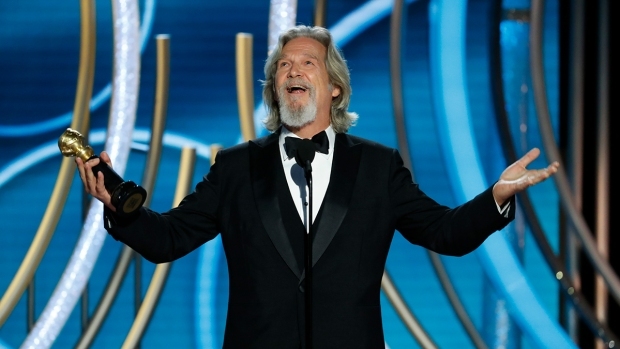 The SAG Awards had one thing the Oscars don't: a host. Emcee Megan Mullally kicked off the awards by tweaking their role among the many honors leading up to next month's Oscars. 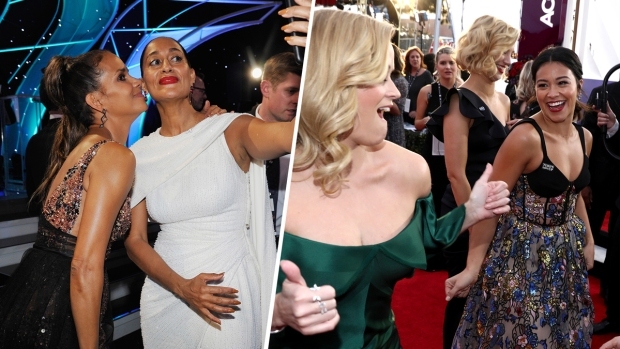 She called the SAGs "the greatest honor an actor can receive this weekend." The show did not boost the chances of other Oscar hopefuls, "A Star Is Born," ''The Favourite" and "BlacKkKlansman," which were all shut out Sunday night. Among the attendees Sunday was Geoffrey Owens, the "Cosby Show" actor who caused a stir when he was photographed working at a New Jersey Trader Joe's. He was among the performers who began the show with the SAG Awards' typical "I am an actor" testimony. The SAGs also made time for one reunion: "Fatal Attraction" stars Michael Douglas and Glenn Close joined each other on stage as presenters.